It might not be the most glamorous motorcycle in the world, but the Honda NC750X does its job so well it’s hard to think of something more suited to the slog of all-season commuting. It’s rugged, reliable, simple to ride, comfortable and affordable. No wonder they’re such a common sight in cities like London. The NC750 comes in two different flavours. The S is a typical unfaired road bike, while the X tested here gets some Adventure bike styling touches, including a ‘beak’ under the all-LED headlight. But, underneath, both bikes are the same with an economical 745cc two-cylinder engine and six-speed transmission. The engine is an unusual design – it’s based on a four-cylinder used in the Honda Jazz car, but cut in half. With 54PS it’s not very potent, even though you need a full, category A licence to ride the NC750X. But its car roots mean it’s surprisingly torquey with 68Nm from 4750rpm - making it very flexible and rider-friendly. It doesn’t scream up to the red line like a typical motorbike and instead provides fuss-free performance from low engine speeds. That makes it a really easy machine to get along with in busy town traffic or on the motorway. And it’s even more manageable and easy to ride if you pick the optional DCT transmission. 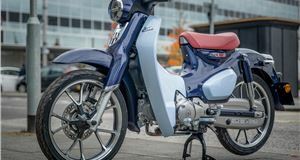 This dual-clutch gearbox removes the clutch lever and gear selector – making the NC as simple to ride as a twist and go scooter, but with six speeds instead of a CVT gearbox. There are normal or sport gearchange patterns to choose from, plus there is a manual override if you want to take control yourself. To an experienced rider it will feel alien, but it doesn’t take much time to get used to and it makes stop/start traffic really easy to deal with, which is great if you’re tired or cold on a miserable, wet winter commute. Sadly, the DCT transmission does push up the price quite a lot, which limits its appeal if you want a cost-effective commuting tool. But even if you opt for the manual bike you’ll find it easy to ride, since all the controls are typically Honda slick. The handling is neat and predictable, with neutral, natural steering and plenty of leverage through wide, well-placed bars. 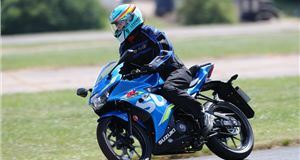 The bulk of the bike’s weight is carried low down, which makes low-speed riding easy even if you’re new to big bikes. Take to a twisting country road and the NC750X performs well enough, with decent punch to accelerate well out of corners. It’s not particularly exciting or involving, though – even though Honda has tweaked the exhaust from 2016-on to make it sound a bit more purposeful and aggressive. 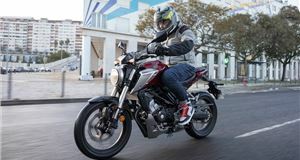 Other changes over the earlier NC750, and NC700 before that, include full-LED lighting, better suspension and some styling updates. 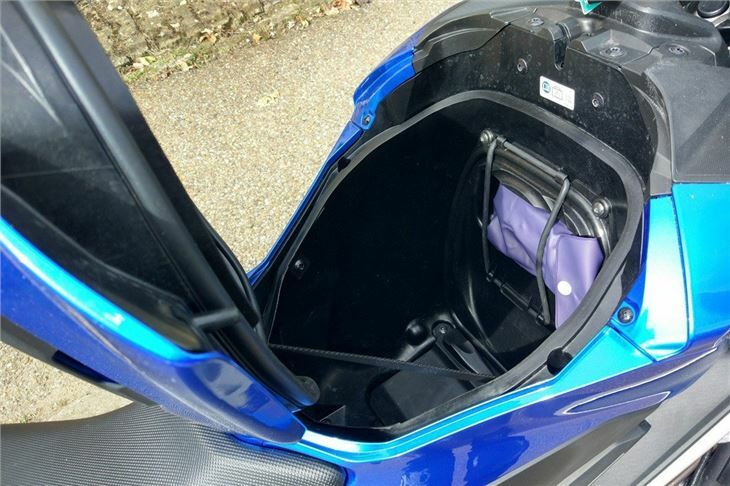 One thing that remains is the placement of the fuel tank – since it’s actually under the seat, with the filling cap placed under the pillion pad. It’s a clever touch because it means there is a big storage area where the tank would normally be. It’s big too, with enough space to store a full-face helmet. 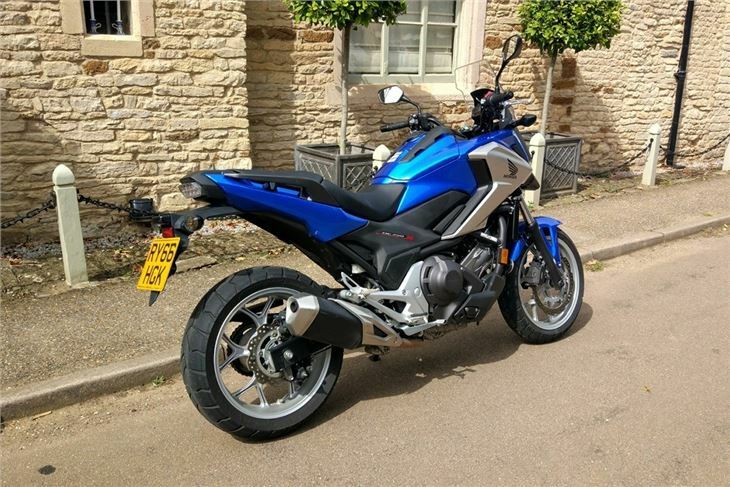 If you need more room there are lots of luggage options including top boxes and panniers, plus the rear seat is wide enough to carry a pillion in reasonable comfort. It’s a shame the NC750X lacks personality, because it’s such a great all-rounder. That said, ruggedness is more important if you ride every day. 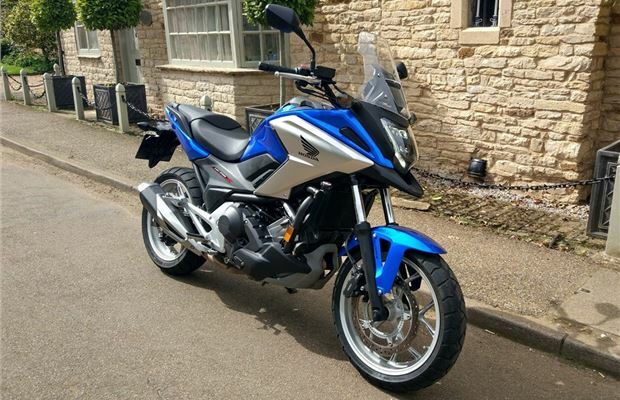 And on that front you can trust the NC750X - it’s the typical bike of choice for couriers. They cover tens of thousands of miles all year round, so if it works for them then it will probably work for everyone else too. And that’s where its appeal lies - it’s a workhorse, not a just a weekend toy. You could ride it in and out of London seven days a week and then take it on a touring trip - with a passenger - without so much as a pressure wash and oil check. It really does do all you could want it to. Just don’t expect any thrills. The Honda NC750X costs £6749. 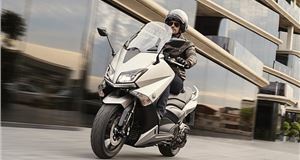 The Honda NC750X DCT costs £7427. 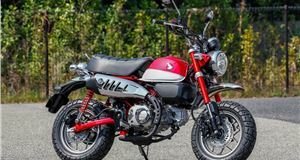 Includes ABS, digital instruments with fuel gauge, built-in storage for a helmet, LED lighting. Honda NC750X (745cc) two-cylinder, fuel-injected water-cooled petrol, four valves per cylinder, six-speed manual transmission or six-speed DCT: 54PS at 8500rpm; 68Nm torque at 6000rpm. NC750X top speed 115mph (estimated). Fuel consumption 75mpg (estimated), Annual VED £85.